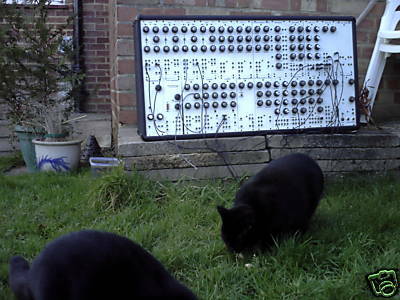 Posted on December 30, 2008 December 30, 2008 by catsynth	This entry was posted in Cats, Synthesizers and tagged analog, black cats, Cats, eti, synthesizer. Bookmark the permalink. Ignorant as I am, I only see one and a half black cat ! What an enormous synth! The cats looks quite sizey too! Happy New Year to all at Catsynth!